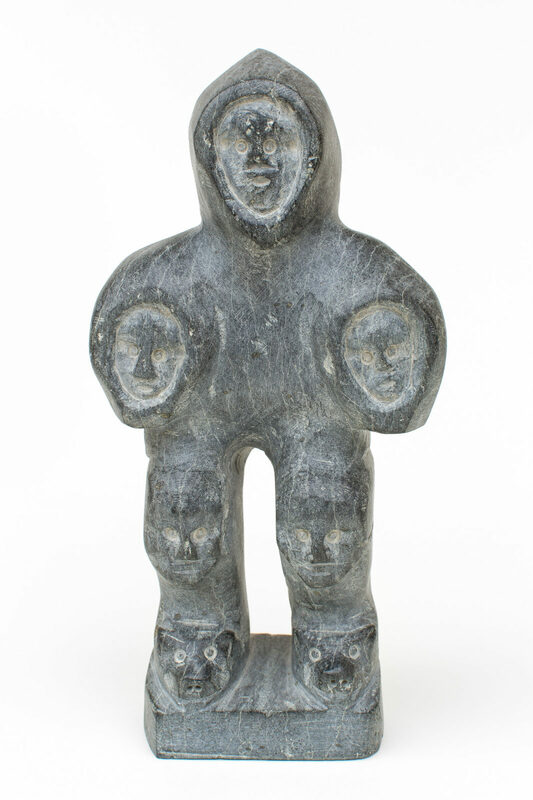 untitled (powerful shaman), c. 1975, steatite, 9.25 x 4.5 x 6 in. 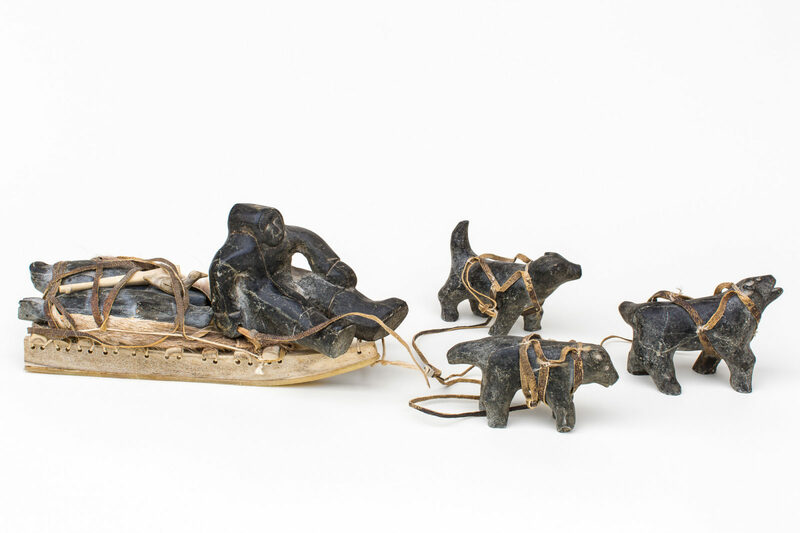 untitled (dog team), c. 1970s, steatite, caribou antler, caribou hide, 20 x 4.5 x 6 in. 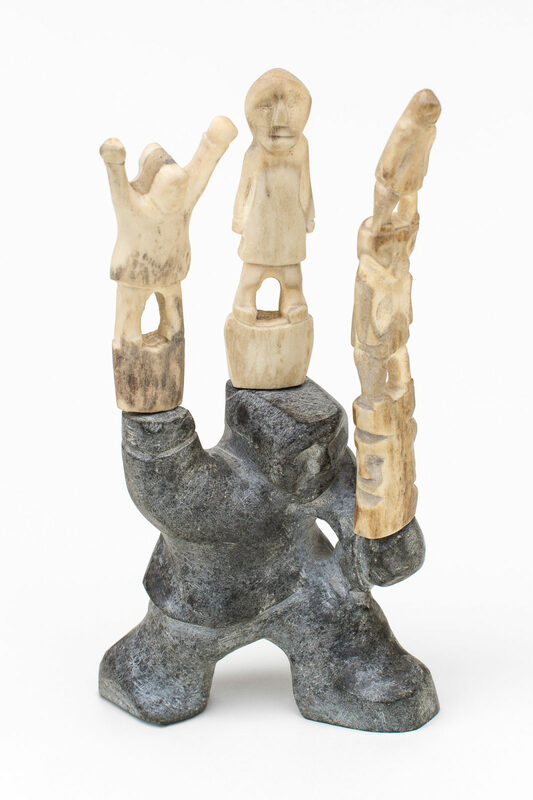 untitled (figure with totems), c. 1971-72, steatite, caribou antler, 8 x 6 x 4 in.